When I was about seven or eight years old, I saw a movie in a movie theatre that fascinated me to no end. No wonder, because it was one of the first movies that I ever saw. Maybe the very first. 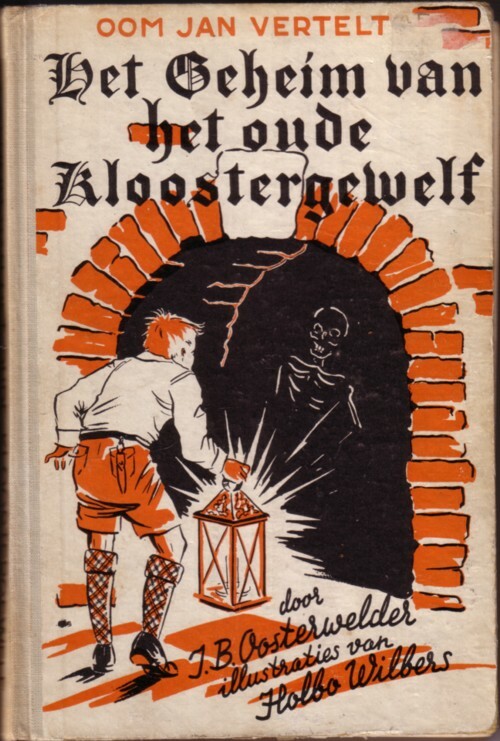 All I can remember of that movie is that it was in black and white, that the name something like “De schat van de abdij” and that is was spooky and mysterious. I never heard or saw anything of that movie again, but since it played in a theatre, I guess it must still exist somewhere. And now we have an Internet, I hope that I find the complete movie soon. I don’t think that the movie has anything to do with the book, but there are enough similarities to show you the book, in the hope that if you happen to know the movie, it will remind you of it, so you can tell me the title and where to buy it. Having no access to my own memories is something that I find difficult to accept. Even when I know that others have no access to my memories either. Neither do I think that there is somebody denying me that access. But it are my memories, so why can’t have them when I want to? I really don’t understand why most people seem to accept this situation. A Total Recall Program should be on top of the list of world wide priorities. Hi, I saw that movie as well, being around 10 years of age and guess what I am searching the internet as well for a copy of this movie but never successful. If you find it…....... please share it with me, you know where to find me. Wow, dat is wonderlijk. Weet jij de titel nog? En wat weet je nog van het verhaal? Ik zou die film heel graag terugzien! Als we hem vinden, kunnen we samen kijken. In mijn beleving was dit een Engels verhaal, maar het zou zomaar Duits geweest kunnen zijn. Een stel jongens die een nis zien in de muren van een abdij waar iets verborgen lag waar aanwijzingen op stonden die leidde tot een schat ! ! ? zoiets ! Gents, nu oktober 2011 nog steeds niets gevonden. Als jullie iets weten houd ik mij aanbevolen. Just scroll down and click on the letter “F” at the bottom. If it is your film, send a message to the British Film Institute (BFI) as they are intending to release 3 to 5 classic CFF movies, so hopefully “Five Clues” will be one of them. Do you remember that an antler did hold one of the clues? About the antler, YES I think you are right. It sounds familiar yo me, very much. For sure I will check out CFF movies. Frits how is life any news, please me know how your seach for “Five Clues to Fortune is going. “Five Clues to Fortune” (Geheimsache fuenf) (1957) will be released with English track and German dubbing (optional) before Christmas thanks to Hans Schaffner’s The Children’s Film Foundation Collection. 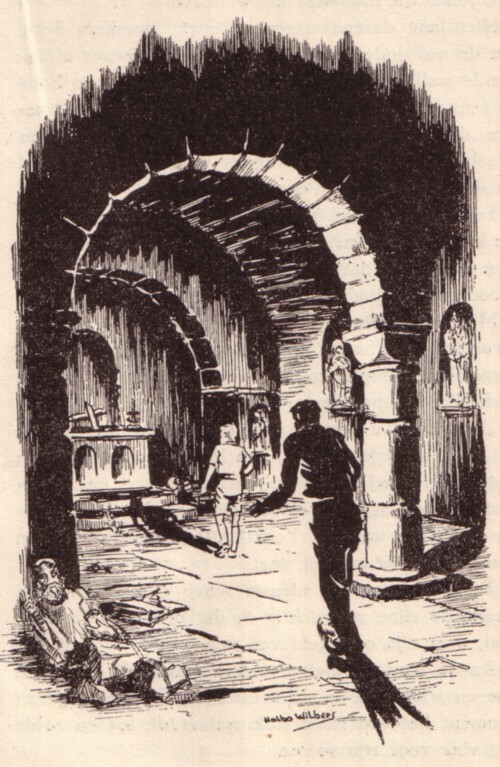 So far you can order “Mystery in the Mine” (Das Geheimnis der Mine), “The Carringford School Mystery” (Die Halskette) and “Beware of the Dog” (Achtung: Bissiger Hund). They have been released. You can order them in amazon.de, the steps are the same (but in the search option you must type in the German title) and in case you want to pre-order a CFF DVD which is not yet out, just click on the right upper corner on “vorbestellen” (pre-order). Sometime this month “The Young Jacobites” (Die jungen Jakobiter) will be released, then “Valley of the Kings” (Im Tal der Koenige) and in December “Five Clues…”. Did I add your e-mail address to the newsletter that I recently sent out to all my CFF contacts in the UK and in Germany? @Chrissie: thanks a million for all this information!